The Rome Runway is new for 2012. It has the simplicity and ease of adjustability like the Shift and United but the response similar to the Madison and Strut. The single base plate has an advantage over the Strut and Madison because you don’t have to remove both the heel padding and toe padding sections to take the disc off. The 2014 Rome Runway has a better foot bed that has one screw and is a uniform pad. 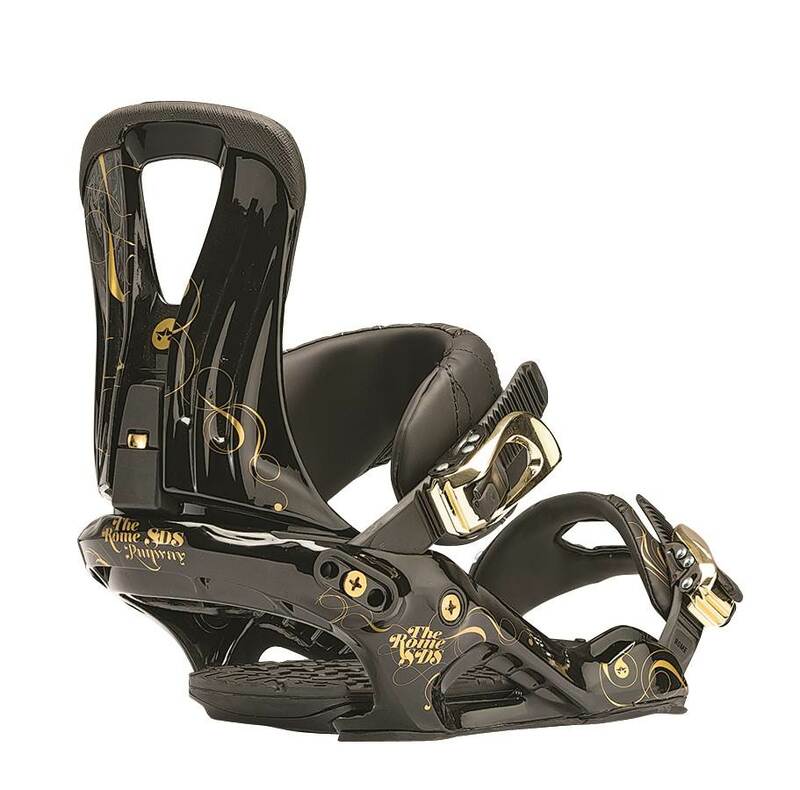 It’s about the same as most bindings to get on and off. 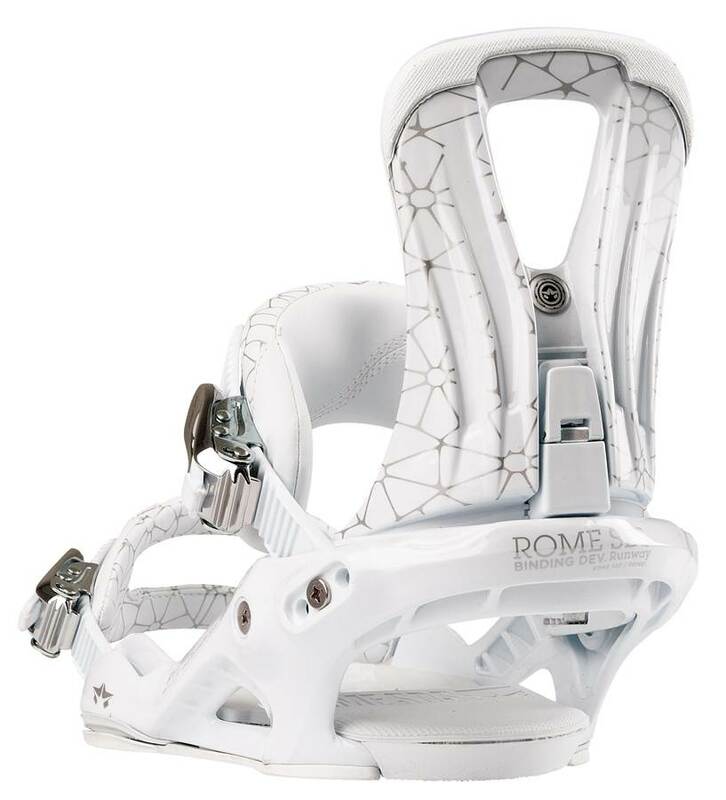 So the Rome Runway is new and not a bad binding. Our biggest surprise was how responsive it was. Another thing is in the video you see the Runway has an ankle strap that is hollowed out in the center but the pictures look like it’s not. It is hollowed out like the video. Instead you just have to pull out the toe pad. It also comes in three sizes instead of 2 so it’s more tailored to a smaller group of foot sizes per size and that is good. The Runway also has less parts so in theory it’s less likely to break than the Strut and Madison. The high back is unique because you can adjust the level of cant which is new to the industry. We also like the uniform fiberglass/plastic base plate over the combo plate with fiberglass/plastic and metal. It’s almost as responsive as the Madison and a little more loose in terms of flex. 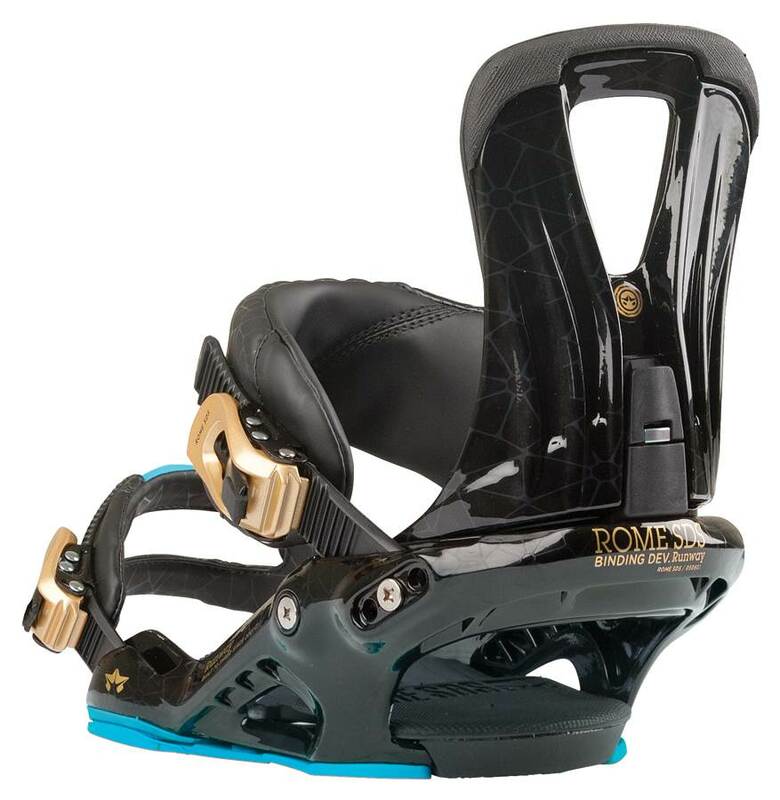 We like the Runway bindings and feel it could be the future of the higher end Rome bindings. You get a lot for this $200 price tag in terms of performance and adjustability. Flex– The Runway has an overal medium flex but the high back has a variation of flex. The top is pretty soft but as you go down the high back it gets stiffer. Adjustability: Very easy to adjust for your riding style and boot. 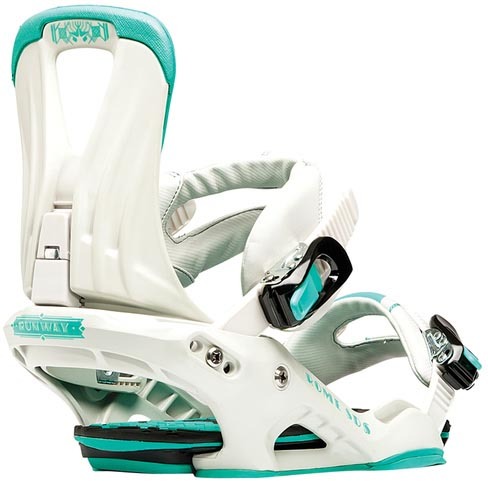 This is a refreshing change from the 2 piece base plate that the other high end bindings hae. 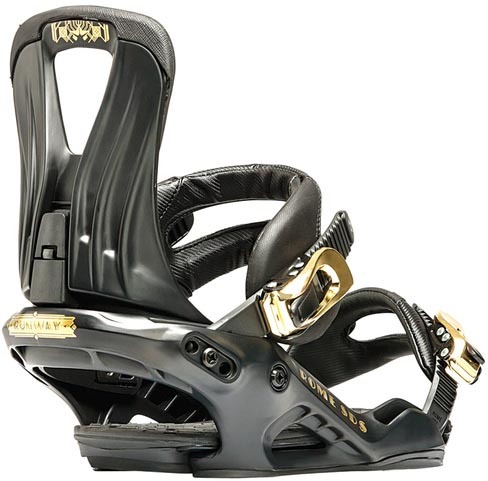 They are a pain to get adjusted but the Runway is almost like most normal bindings. It comes in three sizes We know it’s a little more expensive but we’d like to see this Base Plate design on the Shift and Madison. It would cost more but make for a much better user experience. Comfort: Once properly adjusted the comfort factor is top notch. The ankle strap is supportive and pressure point free. The toe strap hasn’t pinched on any of the boots we tried above so that’s pretty good. Response– The new base plate to us is well liked and this binding is more responsive than Rome Markets it to be. The edge to edge transitioning on this binding is very easy. 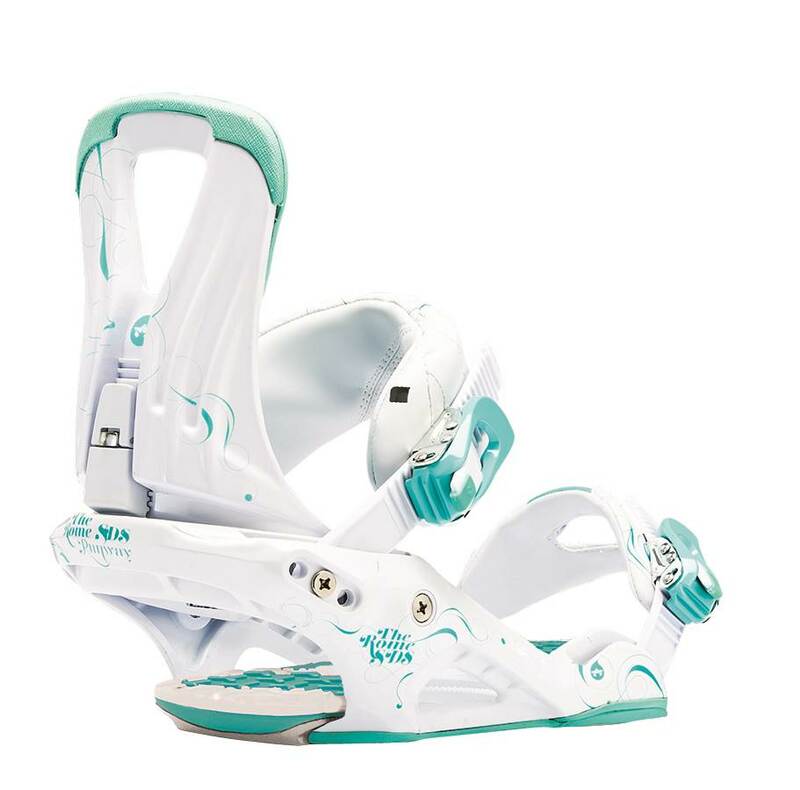 We kept thinking the boards we tried had easy turn initiation but after paring up this binding with a bunch of different boards and boots of all flex levels we realized it was the bindings. Weight– Pretty light but it’s not a feather weight. Lateral Movement– Pretty easy to get a board to flex laterally for a butter or ollie. This is great for those that are more into edge to edge transitioning but also like to mix it up and butter the board around. Dampening– The Runway is super damp and chatter free. We were expecting average here but got excellent. Not bad Rome! Shock Absorption– The entire footbed is pretty cushy. The only part that doesn’t have a tremendous amount of EVA foam is the part that covers the disc. 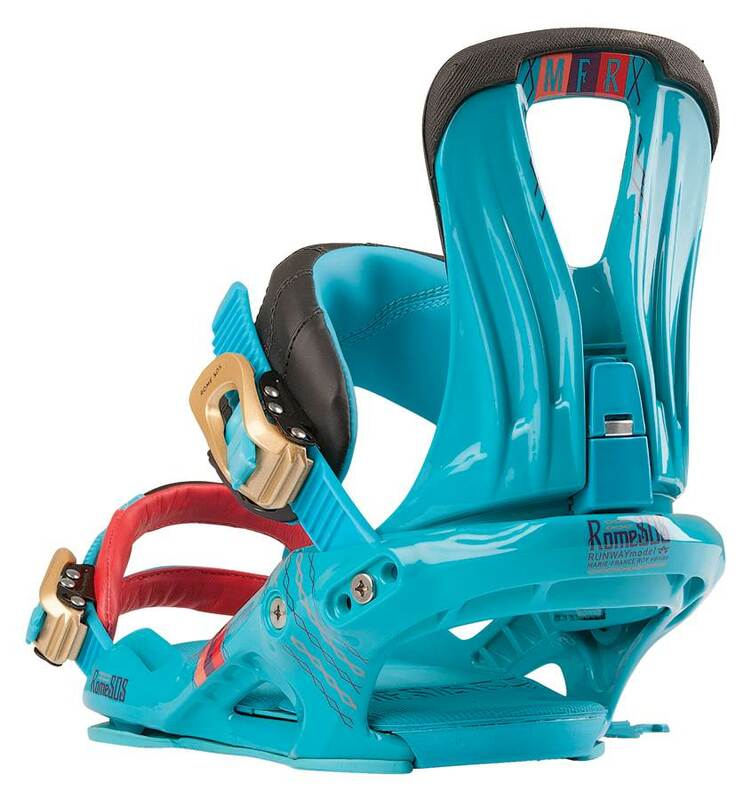 Board/Boot Integration– This binding works well with most boots and a lot of boards. We felt it was more responsive than we expected and that made us feel this was better with Medium to even aggressive boards than softer boards but it’s all personal preference. We try to get as many images of the Rome Runway, but forgive us if they're not all there.